GTA 5 Cheats – Enjoy ALL Grand Theft Auto 5 Cheats!! A big Hello from cheatsforgta5com. 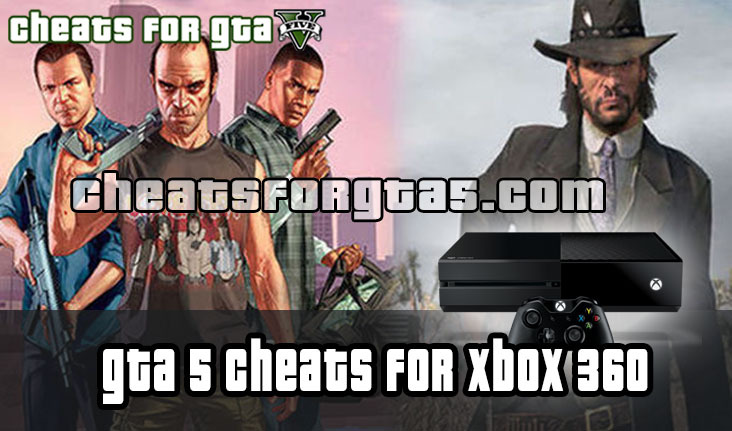 All GTA 5 Cheats PS4 are exclusively available here on our website for GTA 5 Online fans. We are quite sure each of you has heard about this GTA 5 game, and most of your have had the opportunity to play it this amazing game online. Grand Theft Auto is an action game set in a gangster climate in Los Santos and its environs. GTA 5 created and released Rockstar Games in 2013 first on the seventh generation consoles platform and in 2015 the game was released on PC and eighth generation consoles. Grand Theft Auto V is one of the most favorite games of all time. It has been positively received in the gaming market due to its playability, open world, storyline and graphics quality. GTA 5 went to the Guinness Book of Records. The game refers to one of the previous versions of GTA: San Andreas. The action takes place in its vicinity. Any player who would like to facilitate their character development and the game itself can benefit from GTA 5 Cheats in GTA 5 and GTA 5 Online games. GTA 5 cheats is the most loved addition to Grand Theft Auto. All who use it are happy. 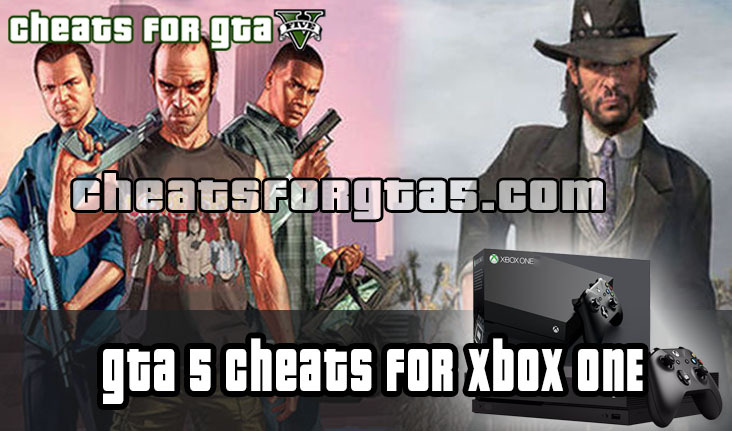 Feel free to read more about GTA 5 Cheats Here. You should be familiar with the first method of using cheat codes if you have played previous titles in the GTA series. Simply press the specified buttons on your controller (e.g. DOWN, UP, X, A, etc.) in the correct order and the cheat will be activated. For the cheats to work in GTA 5 the buttons need to be pressed quickly and during gameplay. Dial specific numbers on your in-game cell phone. 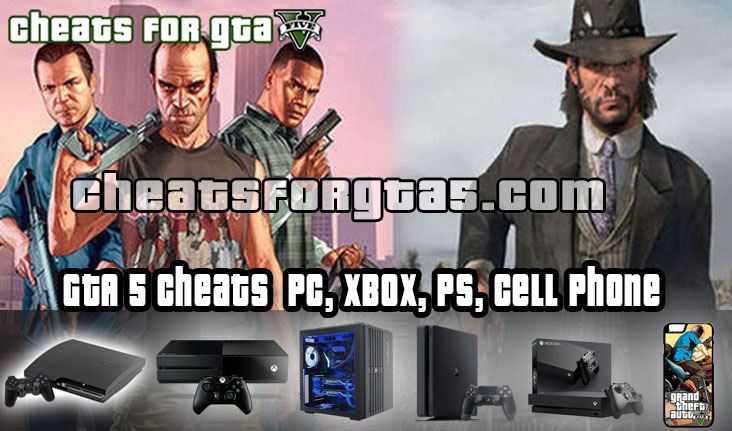 GTA 5 Cheats and Codes for Grand Theft Auto V for PS4! 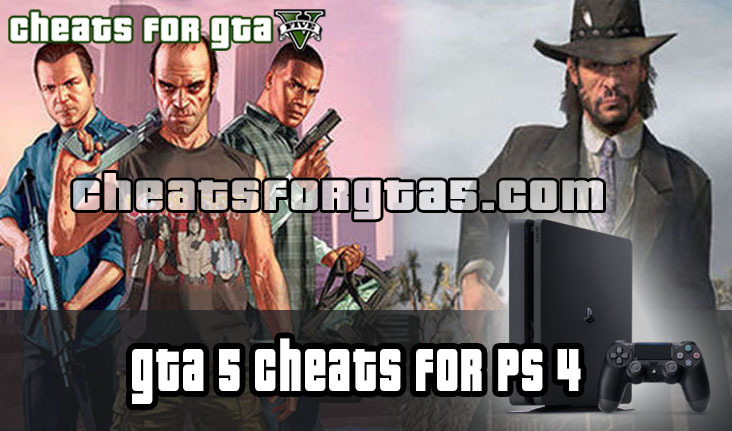 These cheats for GTA V PS4 can be entered on your controller while you play the game to help you beat the all the missions. Keep in mind, entering certain cheats may block you from attaining certain game achievements. Therefore, cheat at your own risk. GTA 5 cheats on the PlayStation 4, including invincibility, weapons, fast run and explosive ammo codes, can be activated and used in two different ways. During gameplay either: (1) use the digital pad on your PS4 controller as well as the buttons to enter the cheat code you want to use; or (2) dial specific numbers on your in-game cell phone. This page has the full list of cheat codes themselves as well as some videos and advice on using them. For many people, half the fun of playing a game like GTA 5 is taking advantage of the cheats. If you want the invincibility cheat in GTA 5 on PS4, GTA Central has your cheat codes. 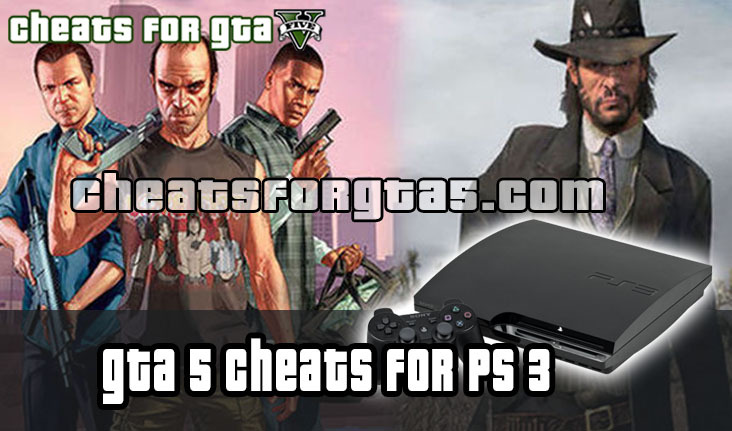 Whether you’re looking for classic GTA V PS4 cheat codes or cell phone cheats, it’s here. 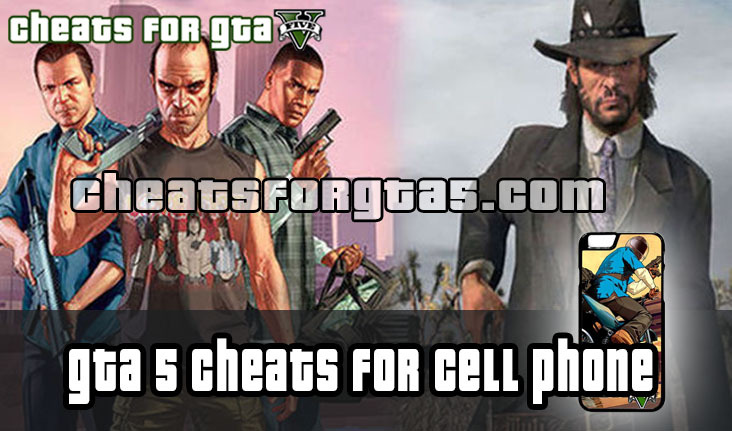 You can also find all of the GTA 5 PS4 cell phone cheats at the bottom of the posts. In order to enter them, you will need to call the provided number in game at the bottom of the page. All GTA 5 cheats for the PlayStation 3, including codes for invincibility, weapons, fast run and explosive ammo cheats, are activated by entering certain button combinations during gameplay. You’ll find the entire list of cheat codes below which you can enter using the directional pad on your PS3 controller together with the button combination shown. We also have some tips and videos to help you get the most out of using these cheats! GTA 5 cheats for Xbox One, including codes for invincibility, weapons, fast run and explosive ammo cheats, can be entered in two different ways. You can activate a cheat by either entering a specific button combination during gameplay or by using the in-game cell phone to dial numbers. Below you’ll find the complete list of cheat codes themselves as well as some advice, tips and video about using them. The Xbox 360 version of Grand Theft Auto 5 has many cheats and codes including for invincibility, weapons (RPG, assault rifle, shotgun, sniper and others), fast run and super jump. All the cheats are shown below and they can be activated and used by entering the button combination shown. When a direction is required, you need to use the digital pad on your Xbox 360 controller. You’ll also find some helpful cheat-related tips and videos. 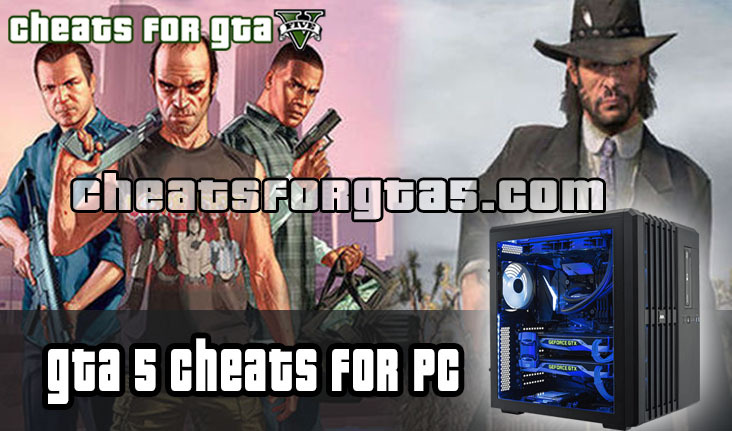 Cheats for GTA 5 on PC are activated using a different method than the console versions of the game. Instead of entering button combinations with a controller, you need to either: (1) bring up the in-game console with the tilde (~) button on your PC keyboard and enter the cheat you want to use; or (2) dial specific numbers on your in-game cell phone. Below we have the full list of PC cheats for GTA 5, including including invincibility, weapons, fast run and explosive ammo, as well as some handy hints and videos to help you when using the cheats. Bring out your cell phone (press up on the d-pad on console versions, or “T” or “Backspace” on the PC version). Go to your contacts list and press X on the Xbox One, Square on the PS4 or “Spacebar” or the middle mouse button on PC. This will bring up the dial pad. Enter the phone number that corresponds to the cheat you wish to activate. The cheat will be activated. Read this guide on how to better deal with GTA 5 after using GTA v money hack. In GTA 5 we play as three characters. Each of them has different skills that we can develop with activity. Franklin can handle the car well, Michael is the master of the shooting and Trevor can increase his strength, each of them should be improved. As in the previous version of this game you have the ability to purchase property and receive a fixed weekly income from her business. Also, you can grow them to make more money. Of course, these are the costs, but choosing GTA 5 Hack will make things easier than you think. All you have to do is use GTA 5 Generator a certain amount of cash, buy the property, upgrade and you’re rich. On the map at GTA 5, there is an airport from where you can steal an airplane or a helicopter, but the police can chase it. There is a method to circumvent this and free use of the airport. Buy Hangar and enjoy the opportunity to fly all the game machines. Here you will also need a lot of cash so that you have the chance to receive from us GTA 5 money. Every weapon you own can be enhanced in stats. Accuracy, shooting speed and magazine capacity. Go to Ammu-Nation and add points to make your heroes stronger. You have to use it for money, but you will see a great difference in the fight against enemies. GTA 5 Cheats PC is one thing, but sometimes when you’re in a tough situation you’d rather fight your way out of it without divine intervention. That doesn’t mean you’d refuse a bit of help though. There are plenty of ways to gain the upper hand in GTA V that don’t require the use of GTA 5 cheats PC, and we’ve collected them all. Read on for a selection of the most useful ones. Upgrade the vehicles of all three characters for free– The basic principle of this method is that all three characters are always present in the game world, even if you are not controlling them at the moment. As Franklin, you’ll eventually gain access to a business in the Grand Senora Desert. It’s a Los Santos Customs shop that allows Franklin to upgrade cars for free, however, Trevor and Michael still need to pay. The idea is that you acquire whatever which car you want the latter two to own while playing as Franklin, upgrade it at your business for free and then call one of the other two to hang out. Complete the hang-out activity as usual, then take the other character to the designated drop-off. Here, they will exit your vehicle. You should do the same, quickly, and immediately switch to the character with whom you hung out. This way the upgraded vehicle will stay where you left it, and you’ll be able to grab it, drive it to your garage and save it. Boom, vehicle save, upgraded for free. Buy GTA 5 Weapon upgrades “for free”– This method requires some kind of mission that takes place near an Ammunition store. Once you start the mission, head to the shop and stock up on all the upgrades you want. You’ll need a handy hand grenade for this, so if you don’t have one (but why wouldn’t you? ), buy that too. All that’s left is to leave the store and promptly blow yourself the hell up with the grenade. After your charred remains have somehow reanimated themselves thanks to video-game respawn magic, you’ll find that because you failed the mission, the game will boot you back to a previous checkpoint where you still had all that cash, unspent – but you get to keep the upgrades. The flammable grass is your friend– This little tactic might help you out in some tricky fights. If you happen to anger some gun-toting rednecks, gang members or officers of the law in a grassy area and happen to possess a Molotov cocktail, you can turn the tide by using the environment against your opponents. Seeing as the grass is harmless under normal circumstances, your opponents will very likely be standing in it – thing is, if you toss a Molotov at a patch of grass, all conjoined patches of grass will also catch fire along with it, and as we all know, fire is pretty transmissible. Have fun to smoke those bastards out of cover! Stealth? In my GTA?– It’s more likely than you think. While GTA 5 is by no means a stealth game, and in actuality, the stealth mechanics are rudimentary at best, there are some situations where they come in handy. The police in this instalment of the franchise can be notoriously harrowing, so you might be surprised to hear that a common bush may end up being your salvation. Some bushes allow you to hide in them, and you’ll see if you’re actually hidden instead of squatting in a static prop if the character blip on the minimal turns grey. Get free GTA 5 vehicle repairs– While saving up exorbitant sums of money in single-player is nowhere near as tough as it is in Online, there is still no reason to go around wasting cash, especially early on in the game. There are a handful of ways to get free vehicle repairs. If your ride gets banged up, all you need do is drive to your nearest garage, save the ride, switch to a different one, leave, go back, and select the previously damaged car once more – voila, good as new. An even more convenient method is to simply switch to a different character and immediately switch back. You’ll be greeted with the same car sans damage. Of course, the most legitimate method is to by Los Santos Customs with Franklin, as that makes repairs free too. GTA 5 has a great array of GTA 5 cheats PC ranging from your typical “make the game easy” kind of a cheat, such as an invincibility, to more creative and entertaining ones that teleport you into the air for some skydiving. You can activate GTA 5 Cheats PC either through the traditional method of entering the codes into the dev console, which you can summon with the magical tilde (~) key or by calling specific numbers using your in-game cell phone. GTA 5 Cheats PC range from vehicle spawning codes, through world effect cheats that alter the game’s environment to the more familiar player effect cheats which alter your character’s abilities. One of the best aspects of cheats in GTA 5 is that more than one can be active at any given time, allowing players to cook up their own insane cheat cocktails for some truly wild times. If you think cheats in GTA 5 are nothing more than ways to gain the upper hand when you get stuck in a particularly tough fight, you’d be wrong. GTA 5 Cheats can be used to mix up gameplay if you ever get bored of the usual things you can do in the game under normal conditions. Instead of simply existing to make the game easier, cheats are also used to incorporate various game mechanics that would not fit GTA’s realistic setting and are therefore relegated to being non-canon extras. One of the best ways to kill time in GTA 5 once you’ve seen everything the game has to offer by way of conventional content is using the Rockstar Editor to create your own videos and the best way to augment these videos with any character you wish is using Director Mode (JRTALENT). While not a cheat in the usual sense and more of a tool, Director Mode can be heaps of fun even when not used to create a video, but just to mess around. Unlike filmmakers in the real world, you don’t need to depend on the whims of Mother Nature when trying to get the perfect scene recorded. If the weather doesn’t align with your directorial vision, simply change it. You can cycle through all of the weather presets using the Change Weather cheat (MAKEITRAIN), including snow, which doesn’t naturally occur.